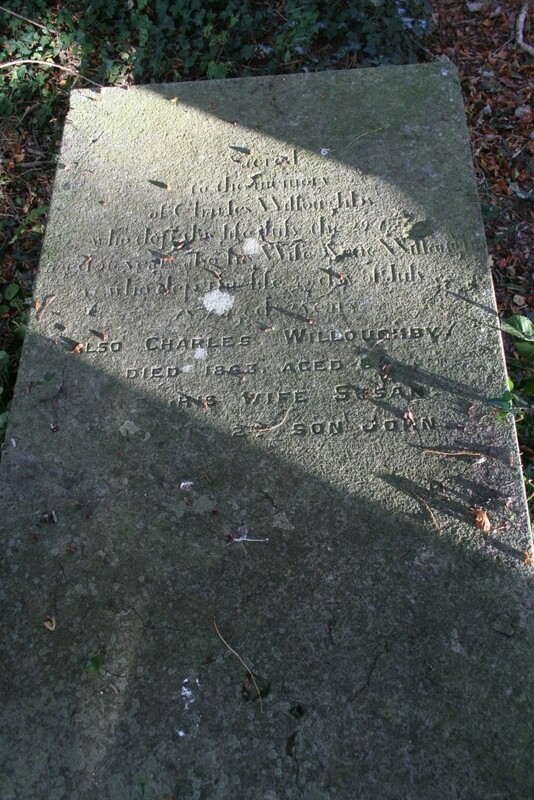 Sacred to the memory of Charles Willoughby who depd. this life July the 29th 17?? aged 30 years. Also his wife Anne Willoughby who depd. this life the 25th day July 1831 aged 82 years. 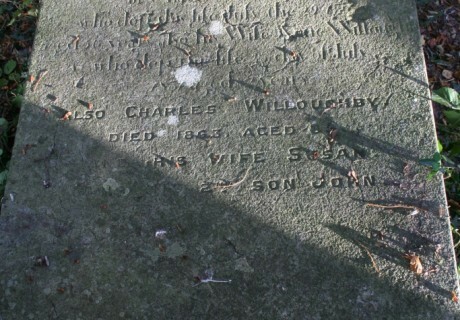 Also Charles Willoughby died 1863 aged 85 and his wife Susan and his 2nd son John.